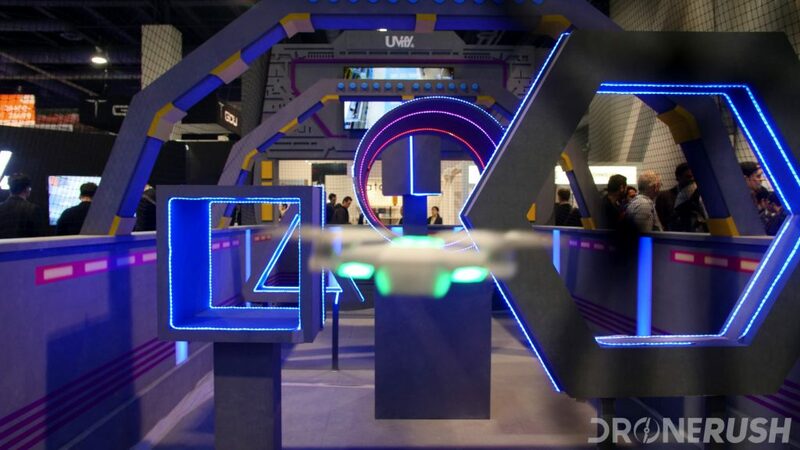 We had a great time at CES 2018 checking out all the drones, and there were many. Now it’s time to crown some winners of the show. We’ve chosen a few broad categories and have some top picks for you to check out. 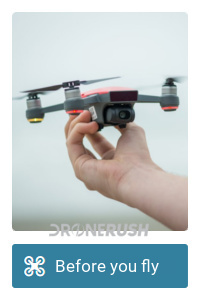 Our award categories for CES 2018 include our pick for the overall best new drone, best new portable drone, best new small/beginner drone and a couple honorable mentions. 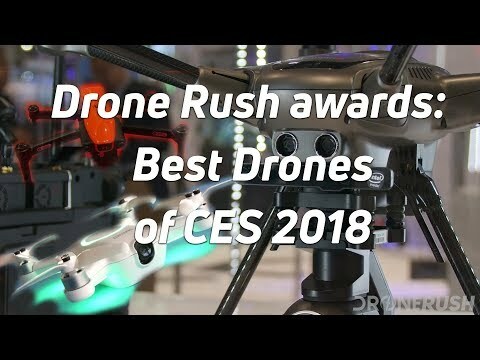 No matter your chosen category, we all win with the drones announced at CES 2018. 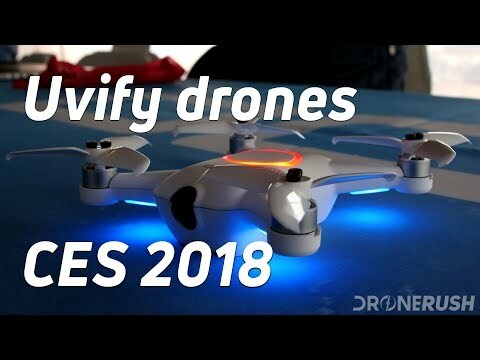 Before we dive in, please note that we encountered hundreds of drones at CES 2018 – stay tuned for a fun video and short post talking about the show, all of the many vendors and some of the great tech surrounding drones. Right from the color and shiny display to seeing the new Yuneec Typhoon H Plus hovering in front of us, we were very impressed with this drone. The hexacopter design of Yuneec’s Typhoon line has proven very effective and safe in the air, now it is more efficient and powerful. 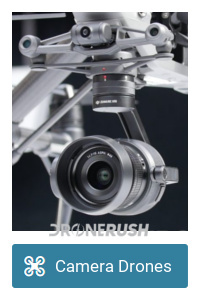 Most of all, the Typhoon H Plus supports newer modular cameras, for the best possible aerial images possible in a Yuneec drone under $2000. The new controller packs new flight features, with a focus on safety as well as assisting a pilot with their video operations. There will again be two versions of the drone, one with and one without the Intel RealSense obstacle avoidance sensor bar. This will make a difference in autonomous flight abilities as well, including the ability to route around an object. 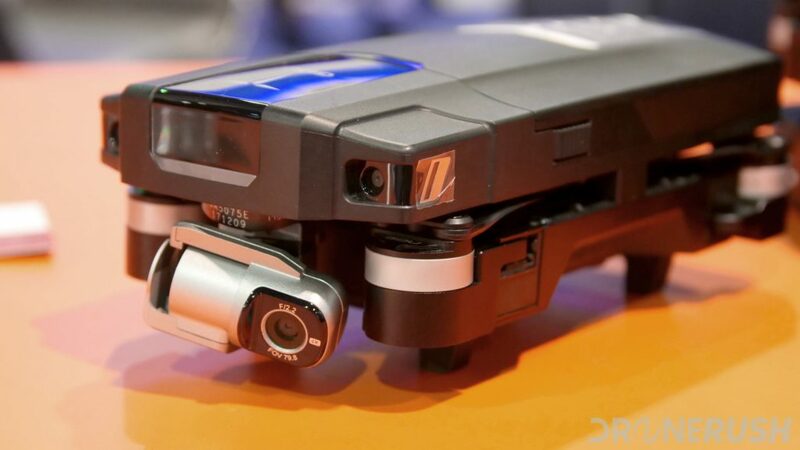 Interchangeability with existing Yuneec cameras would be the icing on the cake, but, at this time, the 20 MP, 1 inch sensor makes up the only confirmed shooter. 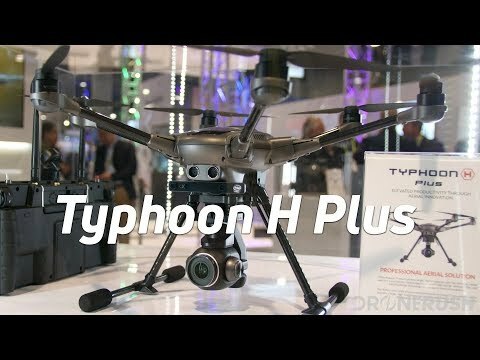 The Yuneec Typhoon H Plus will be up for sale around May of 2018, stay tuned for coverage. A name we do not throw around a whole lot around here is back in the spotlight. 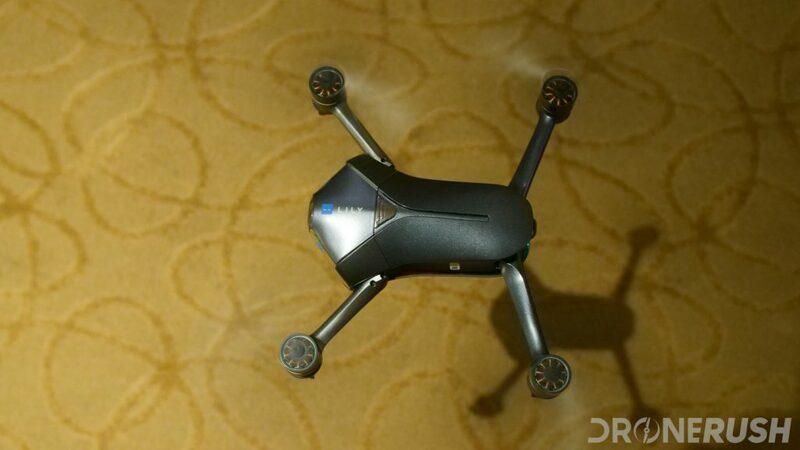 Autel Robotics announced the new Evo, a compact, folding quadcopter for your hobby needs. 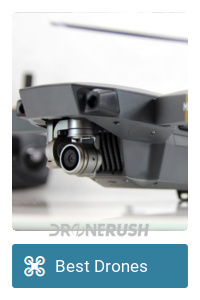 Let’s be completely honest, owners of the DJI Mavic Pro will have a hard time choosing this drone, but for all those looking to buy fresh, you’ve got options. 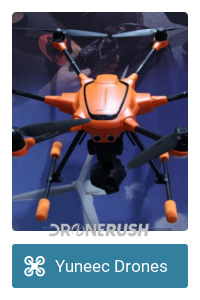 Features and specs include thirty minutes of flight time, seven kilometer range, a 4K, 3-axis stabilized camera, object avoidance sensors and a 3.3-inch display built into the remote control. 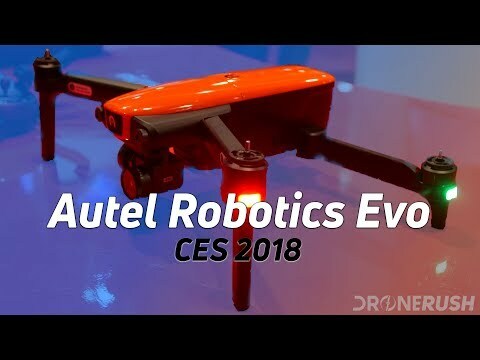 Slated for store shelves by summer time, stay tuned for more coverage of the Autel Robotics Evo. Heading into CES 2018, we heard that this drone racing company had a couple new machines, one of which a mini machine. We admit we went into our meetings with Uvify not expecting much, but by the end, the new Uvify OOri emerged on top. 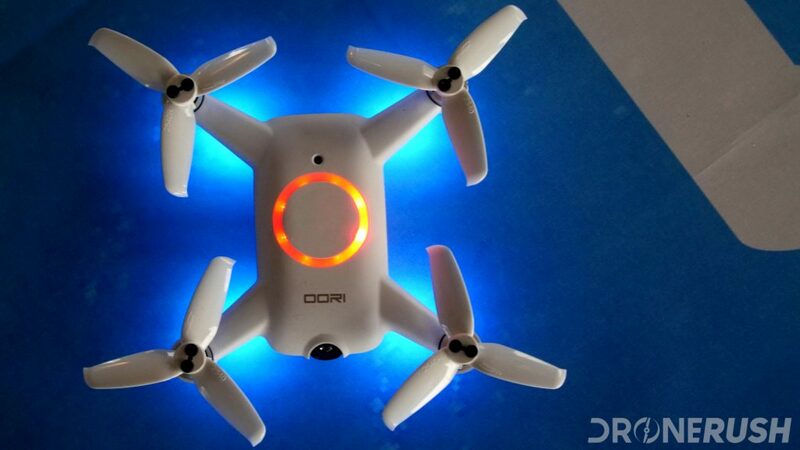 OOri is a mini quadcopter that doesn’t realize it’s a mini quadcopter. Stabilized flight and other tame flying features make the machine safe for beginning pilots. Fly it as a normal drone, or allow it to grow with you as you delve into the world of drone racing. We’ve seen micro machines before that call themselves racers, we admit they are fun, but at 10-20 MPH, they hardly qualify in any real way. The Uvify OOri leaves them in the dust, able to take off like a rocket and exceed 50 MPH at the top. Truth is, we had not intended to bestow a best of show award on any mini machine this year. The Uvify OOri carved its way into our books as we suspect it will carve its way into homes in a couple months when it starts shipping. Putting our money where our mouth is, we’ve placed our pre-order already, stay tuned for more coverage of the Uvify OOri. We were wondering what was taking so long shipping the GDU O2, and now we know. The machine now has a totally new camera gimbal, promising the best experience possible from the sliding arm quadcopter. Deliveries should begin very soon. In the beginning, Lily was a promising looking machine, it was cute and looked very easy to operate. 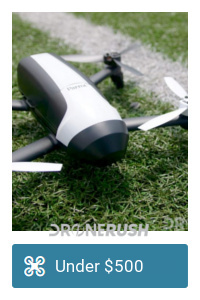 Crowd-funding for the drone was a major success, but then everything fell apart. Before the dust could fully settle, Mota stepped in, purchased the rights to the drone, re-designed it a little and are bringing it to market with a more realistic set of features. Stay tuned for coverage from our meeting with Mota from CES. 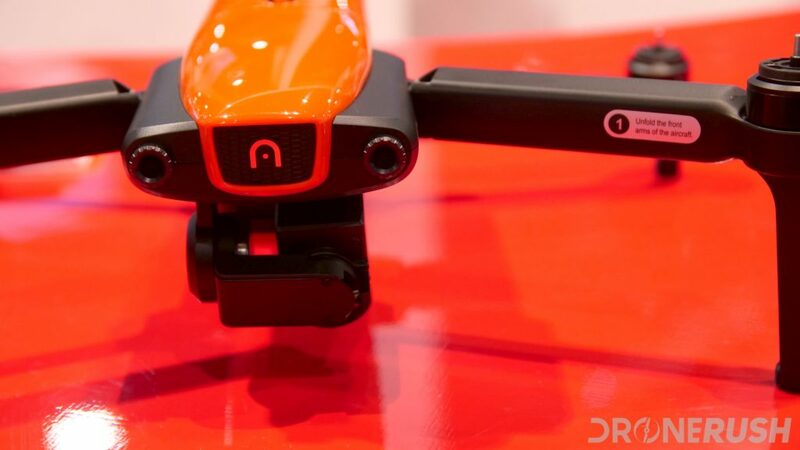 There were so many drones at CES 2018, my fitness tracker says I topped 60 KM of walking, and I still missed some stuff. Stick around in the next few days, we’ll be releasing a fun video of all of the drones we crossed paths with at the show. 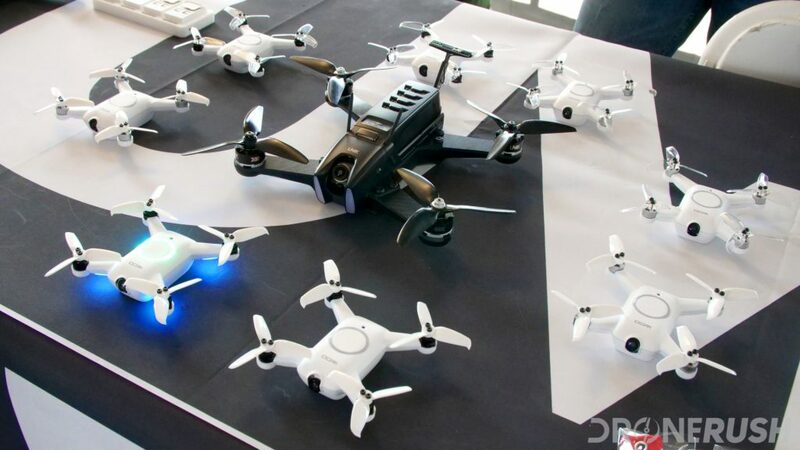 Many of you will note a lack of DJI machines in our CES coverage, simply enough, DJI did not bring their drone game to the show. DJI released some great looking camera stabilization gear though, and they have an event in New York at the end of January. I hope that satisfies those that are angry with me for not awarding DJI drones. 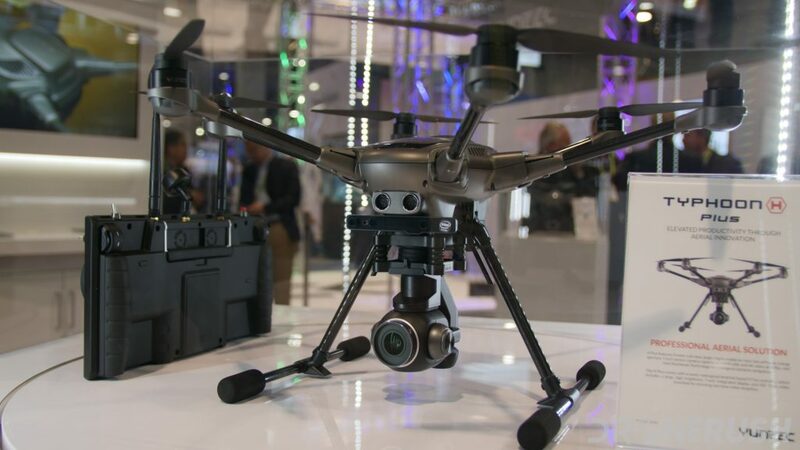 Stay tuned for more from CES 2018 and more on these great new drones, our award winners from the show, the Yuneec Typhoon H Plus, Autel Robotics Evo and the Uvify OOri.